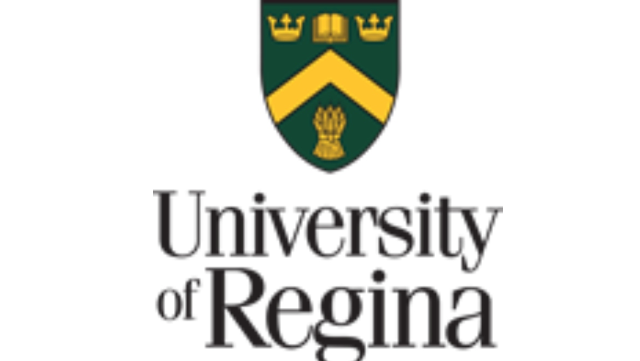 The University of Regina seeks an accomplished and visionary individual – an experienced person of wisdom, integrity, courage, and energy – to lead the Faculty of Social Work. The Faculty of Social Work is committed to serving its communities in a context of social justice, and to preparing graduates to succeed in the complex, diverse, and rapidly changing environments of today and tomorrow. Situated on Treaty 4 and Treaty 6 lands, and with First Nations University of Canada as one of its three federated colleges, the University of Regina emphasizes Indigenization of its curricula and programs to respond to the complex needs of contemporary society, as well as the challenges and opportunities embodied in the Truth & Reconciliation Report (2015). The Faculty of Social Work has longstanding relationships with many communities within and beyond Saskatchewan. It has made a strong commitment to the Indigenization of process, practices, and curriculum. We seek an individual committed to this project. The successful candidate will have a solid record of success as one who has practiced social work, and is also a teacher, scholar, mentor, and an administrator with skills and accomplishments appropriate to a decanal appointment that carries with it an academic appointment with tenure at the rank of full or associate professor. She or he will be an innovator and problem solver committed to excellent student experiences at both undergraduate and graduate levels. The successful candidate will also have demonstrated the ability to create and foster a collaborative climate and to inspire faculty members to excel. Given that the Faculty of Social Work has campuses in Regina, Saskatoon, and Prince Albert, the new Dean is expected to travel regularly and maintain a presence with faculty, staff, and students in all locations, and should have experience with a multiple-campus setting. The successful candidate will possess excellent communication skills, as well as the ability to work collaboratively with professional associations, government agencies including the Ministries of Social Services, Health, Education, and Justice, and with diverse communities in Saskatchewan and abroad. A key attribute is the ability to build links with potential sources of support, including the Faculty’s more than 8,000 alumni. Guided by the strategic plans of both the University of Regina and the Faculty of Social Work, the successful candidate will promote a high standard of teaching, research, and community service in the context of teamwork and growing diversity of faculty, staff, and students. The successful candidate will be focused on excellence, and will work with faculty members, staff, and students to ensure that the Faculty’s programs are innovative, sustainable, relevant, and responsive to community demands. She or he will be responsive to and supportive of current paradigm shifts in social work education, practice and research. With its deep commitment to social justice and anti-oppressive practice and education, the Faculty of Social Work offers bachelor’s and master’s degree programs to students, while providing leadership and support for training and development, conducting research and engaging in provincial, national, and international projects. There are approximately 1000 undergraduate students and 120 graduate students in the Faculty. In addition to programs on the main Regina campus, the Faculty supports social work education at a distance through partnerships with Yukon College, the Centre for Continuing Education, and the First Nations University of Canada. The Faculty of Social Work has community-based programs at both undergraduate and graduate levels in various parts of the province, based in regional colleges as well as Regina, Saskatoon and Prince Albert. Many of these partnerships exemplify our commitment to comprehensive social work education and the value we place on our relationships with Indigenous peoples and others. The Faculty’s mission embodies commitments to student success, research impact, and community engagement as articulated in the University and the Faculty Strategic Plans. The Faculty values innovative and transformative teaching, learning, research, and service; research that informs teaching, learning, practice and theory; the development of successful, adaptive, responsive, engaged and flexible citizens, teachers and leaders in social work; solidarity with those marginalized by race, gender, sexual orientation, religion, ability, language and other forms of systemic discrimination; and respect for and commitment to academic freedom and public engagement. Our goals include, but are not limited to, Indigenizing and decolonizing processes, practices, and curricula; opening access to multiple modes of learning; preparing social work students to practice in increasingly diverse environments; responding to and ethically engaging with communities in collaborative work; addressing shortcomings and failures in the relationship between the profession of social work and the Indigenous peoples of this country; and resisting hegemonic social work practices that marginalize clients, communities, and ourselves. The University of Regina’s main campus, historic College Avenue campus, Saskatoon campus, and Prince Albert campus provide an attractive study and work environment for over 15,500 students and 2,500 faculty and staff. With over 15% of the student body coming from international destinations, a further 13% self-declared First Nations and Métis students, and an increasingly diverse workforce, the University of Regina reflects the rapidly changing face of the new Saskatchewan. The University of Regina is home to 10 faculties and 25 academic departments with established reputations for excellence and innovative programs leading to bachelor's, master's and doctoral degrees. In addition to the undergraduate and masters programs in social work, the University offers specialized programs in a number of areas including journalism, media production and studies, creative technologies, intermedia, actuarial science, petroleum engineering, software systems engineering, police studies, nursing, health studies, public policy, and others. Thirteen research centres and institutes enhance the teaching and research opportunities available on campus. As well, the Regina Research Park, adjacent to the main Regina campus, has produced synergies and research partnerships with industry and government. Both the main Regina campus and College Avenue campus are located in Wascana Centre, one of the largest urban parks in North America. The University is revitalizing its historic College Avenue campus, which began with the foundation of Regina College in 1911. The iconic College Building has been fully restored, and is home to the Johnson-Shoyama Graduate School of Public Policy, the Centre for Continuing Education, and the Conservatory of Music. The Saskatoon campus also offers a full array of social work courses and a selection of general university studies courses in a face-to-face format. Close to five hundred undergraduate students, nine Social Work faculty and six support staff are located at the Saskatoon Campus. Situated in the Concourse Building within Innovation place, the Faculty of Social Work has two classrooms that permit delivery of face-to-face social work courses, and several non-social work courses. In addition, students who prefer more variety in face-to-face general university course offerings have the option to complete their BSW in a blended approach by taking non-social work classes at the University of Saskatchewan. As Saskatchewan’s third largest city, Prince Albert is considered the ‘gateway to the North’, in close proximity to numerous national parks. It is situated where prairie meets rich forest along the valley of the North Saskatchewan River. In addition to campuses for University of Regina and First Nations University Social Work programs, the city boasts campuses for Saskatchewan Polytechnic and the University of Saskatchewan. Prince Albert functions as a hub for northern Saskatchewan's mining, forestry and agriculture resource industries, and has a strong arts and cultural community. The University of Regina is a major catalyst for social, cultural and economic development in the province of Saskatchewan. It is a popular venue for concerts, art, sports, public lectures and theatre, and is a source of invaluable expertise in dozens of areas. In 2018, the University hosted more than 5400 faculty and graduate students from across the country at the Congress of the Humanities and Social Sciences, Canada’s largest academic gathering. Our students, our faculty and staff, and our more than 72,000 alumni are our ambassadors to the world. to http://www.uregina.ca/hr/careers/opportunities.html. All Qualified Candidates are encouraged to apply; however Canadians and permanent residents will be given priority. Review of applications will commence in April 2019, with campus visits and interviews tentatively scheduled for mid to late May. The target date for appointment is 1 January 2020. Decanal appointments are generally five years in length, and are renewable after review for a further five years.